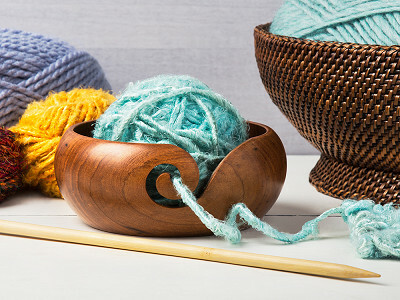 The wooden yarn bowls and silk sari yarn from Darn Good Yarn are made in India by women who are paid fair wages and provided safe working conditions—because Founder Nicole Snow wouldn’t have it any other way. She’s committed to supporting women through economic empowerment as well as Fair Trade practices. These goods that do good stand-out for being beautifully made, too. 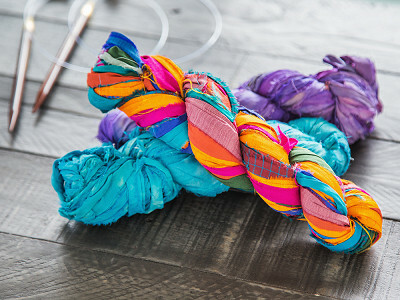 The silk sari yarn saves vintage saris destined for the dump by upcycling them into colorful yarn. Each sari is torn by hand and sewn into strips that can be knitted, crocheted, woven—or used any way you like. 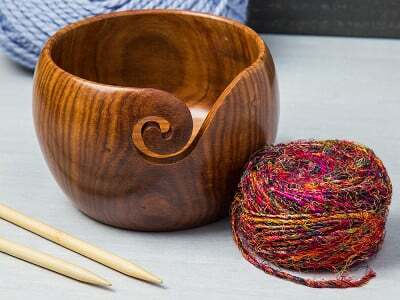 And Indian rosewood and teak are used to craft notched bowls that keep yarn neatly corralled. Nicole was looking for a way to combine two loves—creativity and helping people—when she retired from the U.S. Air Force. 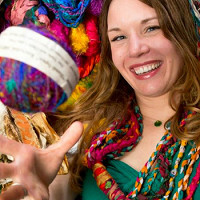 With Darn Good Yarn, she ensures that her workforce of women isn’t just making ends meet—they’re helping their families flourish. 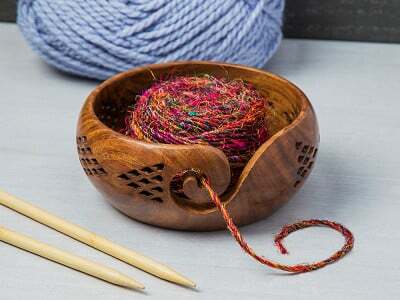 What are these bowls made from? 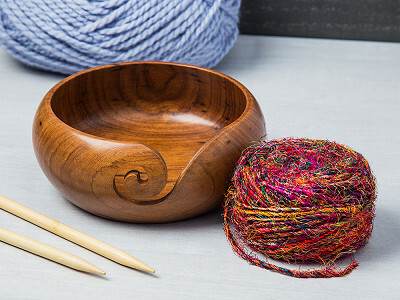 These handmade yarn bowls are made from Sheesham wood (aka Indian rosewood). 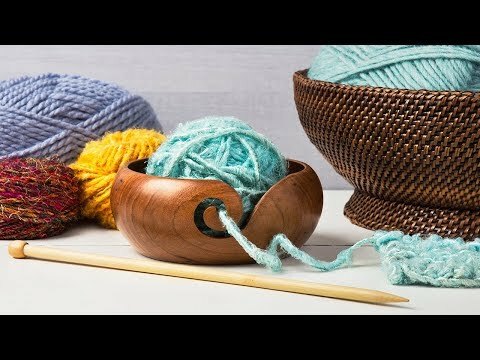 They're perfect for handling all of your knitting, crocheting, weaving, jewelry making, arts and crafts and yarn storage/organizing needs. What is the social enterprise component? 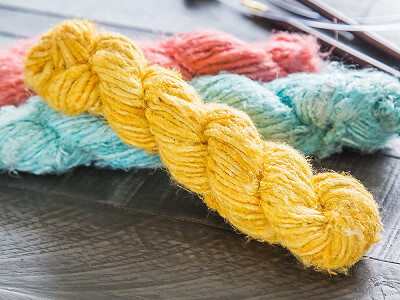 Darn Good Yarn works with a co-op in India providing high quality and safe jobs for over 600 families. A purchase of this bowl touches lives and helps provide safe jobs and opportunity to hundreds of people! How large is the bowl? 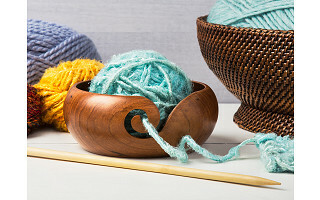 Each of the traditional handmade wooden yarn bowls measure 5 inches by 2.5 inches – absolutely perfect for a ball of Darn Good Yarn. And the jumbo size measures 5 inches x 4 inches.